Cowleys is a specialist in serving the needs of the hospitality industry. We recognize that your pest management needs are critical to the success of your organization. Market differentiation and managing brand consistency across all locations can be a challenge and the key to success in the hospitality industry. Cowleys has an Integrated Pest Management Program that is specifically geared toward the unique challenges in the hotel and lodging industry. In the hospitality business, reputation is everything and a bad guest experience can have rippling repercussions. Cowleys has years of experience in Integrated Pest Management (IPM). IPM, which is considered to be the “gold standard” in reducing the likelihood of an infestation and readily resolving an infestation should one occur. IPM is markedly different from traditional pest control involving a heavy application of pesticides; instead, pesticide applications are used judiciously and intelligently so as to optimize their efficacy using the least amount of chemical. Not only does less chemical mean cost savings, but there is a safety issue as well. In the hospitality industry, where you are catering to a large number of guests many of whom are children and the elderly (who often have respiratory issues or compromised immune systems), chemical treatments should be used sparingly. The last thing a hotel manager needs is for a pest infestation to be compounded with complaints of exacerbated medical problems. Above all else, Cowleys pest management protocols with are designed to protect the health and safety of your guests and employees. Although infestations of rodents, flies, cockroaches, and ants can easily occur in properties offering lodging, there are other pests that are well-known in the lodging business that can quickly damage the reputation of a motel or hotel: bed bugs, fleas, and lice. Many hotels and motels offer food service and, as such, require the same pest control needs as restaurants. But in addition, hotels and motels face a highly transient guest population who is constantly coming in and out of the hotel. And that means trouble when any guest may be potentially transporting bugs on their person or in their luggage. To make matters worse, pests can be easily spread from one room to the next by housekeeping staff. What does all this mean? In a single word: vigilance. Hotel staff must be on the constant alert for signs of pest infestation. For example, whenever a guest checks out and the sheets are changed, the cleaning staff must check the mattress and surrounding areas for bed bugs and their signs. The key to staying on top of potential infestations is proactive policies and that includes periodic inspections by a pest control professional. The downside of passively waiting until an infestation occurs is just bad business. The damage to the reputation of a hotel or motel from a publicized infestation is potentially devastating. With web communications and the various hotel review sites, the word of an infestation at a hotel spreads exponentially. It is no secret that hotels are facing serious scrutiny these days concerning one particular pest: bed bugs. These parasitic insects that live off human blood have become a source of worry and concern for every hotel manager. The There are numerous online website for guests to post a hotel where bed bugs have been found. In addition, there have been cases of lawsuits from bitten customers. 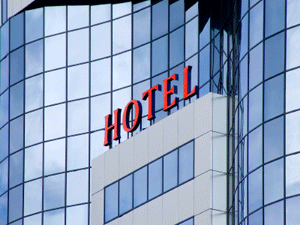 In the hospitality industry, there are few things worse than bedbugs. Cowleys has the experience to deal with bed bugs in this challenging setting including the use of a proven canine scent-detection dog that can swiftly and accurately inspect a room for bed bugs saving a significant amount of time in determining the extent of the infestation. Cowleys has the experience to handle bed bug and other pest infestation problems quickly and discreetly to minimize any interruption to your guests.